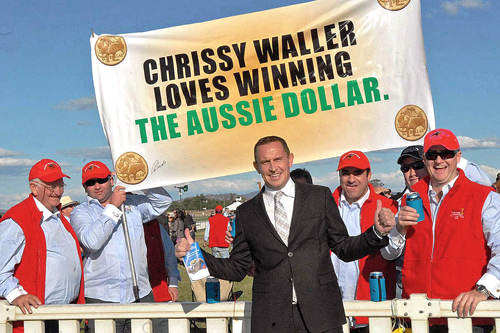 DYNAMIC SYNDICATIONS have had many horses trained by CHRIS WALLER and we shared racetrack success. Currently we do not have any horses in his care. 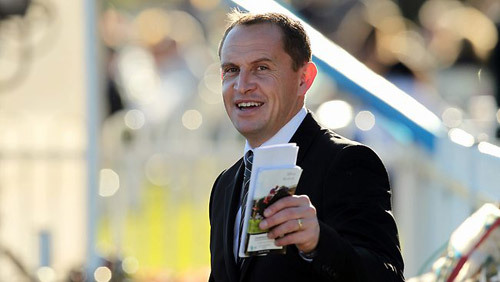 Last Season 2011/12 CHRIS WALLER Won his Second consecutive Sydney Trainer’s Premiership. 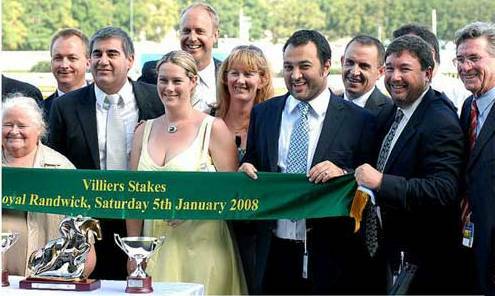 In the 2010/11 CHRIS WALLER Won his Maiden Sydney Trainer’s Premiership. The previous 2009/10 Racing Season, Chris was Runner-up to Peter Snowden (Darley) by just 4 wins. Chris trained 94 city winners where Peter trained 98 city winners. Gai Waterhouse ran a distant third with 73 wins whilst Joe Pride was fourth with 43 wins and David Payne was fifth with 41 wins. This season he has continued his winning ways and has already established a dominant lead in the 2012/13 Sydney Training Premiership. We are teaming up again with this quality youngster which we are hopeful may reach similar racetrack success. enjoying a winning day at the track and we invite you to join us in racing this horse. 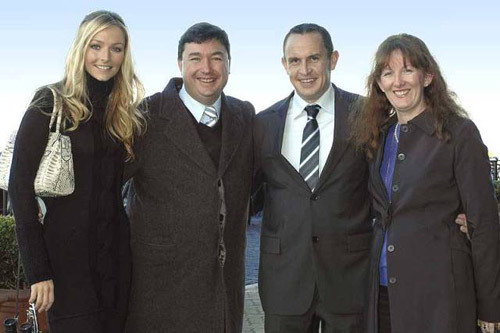 In April 2000, Chris Waller moved from NZ to Rosehill with 4 horses. Since that time which is just a tick over 10 years Chris Waller has won over 900 races in Australia with over 680 coming in the Metropolitan area. Chris now has 120 horses in work at Rosehill. At 40 he has spent his life developing his skills as one of Sydney’s most talented young horseman. Chris’ background in racing is sound. He worked for 7 years as foreman and then later as assistant trainer to legendary Kiwi trainer Paddy Busuttin. He worked and travelled with Group 1 winners like Castletown, Plume, Red Chiffon. Mrs Selleck and Coconut Ice. Chris started training in 1997 and met with instant success. Before coming to Australia with his team of just 4 horses Chris had already trained over 100 winners in his own right in New Zealand many at Black type Level. The industry has taken notice of Chris Waller over the past few seasons and Dynamic Syndications believes Chris is one of the few rising stars in the Sydney training ranks. 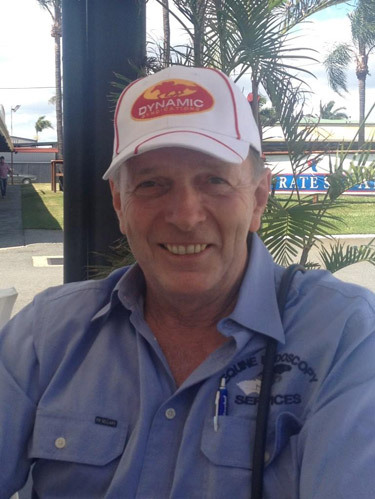 Chris has a close working relationship with veterinarian Dr Tim Roberts whom is also Dynamic Syndications contracted veterinarian. Tim has been singing the praises of this astute young horseman and believes Chris offers an excellent balance to Dynamic Syndications team. 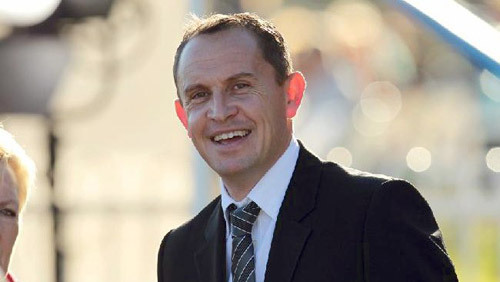 Tim is confident that Chris Waller will be an asset to Dynamic Syndications and we agree. As such Dynamic Syndications has supported Chris with quality individuals and look forward to adding more youngsters from other sales to his stables throughout the year. 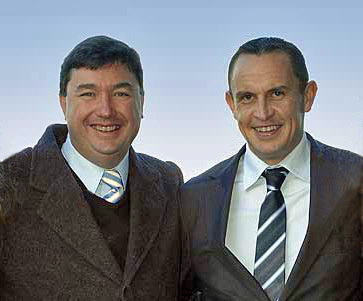 Working with Chris Waller Racing, Dynamic Syndications aim is to give you, our owners and potential clients, the best possible racing experience available. With state of the art stabling on course at the Rosehill Racecourse, Chris Waller Racing is paramount when it comes to horse comfort and with that comes results. Competitive training rates, minimum weekly stable updates, a fun time for owners and the chance to win city races and top prizemoney is just part of what Chris Waller Racing offers Dynamic Syndications clients. Chris Waller Racing employs some of the most competent staff in the business and by working as a team the results have flowed, meaning the stable is entrenched at the top of the Sydney Trainers’ Premiership. 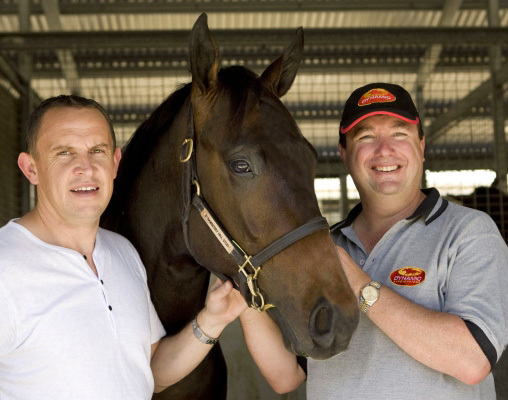 Importantly, our contracted veterinarian, Dr. Tim Roberts, is the stable vet at Chris Waller Racing. This is vital as we have incredible faith in Tim’s skills and Tim is an important part of Team Dynamic. With Tim being able to view our horses daily this gives us great comfort. Chris Waller’s thriving Rosehill stable gives owners access to the wonderful facilities at this racetrack, and is a great base to campaign horses in Sydney. The facilities include the latest stabling amenities that comprise modern, spacious stables in a clean and healthy living environment. Waller’s horses have the benefit of a variety of training tracks; including the use of a pro ride track that is specifically designed to benefit horses legs and to maintain soundness. All tracks are meticulously maintained and the area is well secured. Horses also have access to a state of the art swimming pool. As well as a large wash-bay area and 10 berth state-of-the-art walking machine. Chris Waller Racing has also acquired a horse treadmill which just boosts the service that they provide for clients horses. The stables themselves are very large and spacious and feature a purpose built feed room and exceptionally designed tack room for gear and equipment. As Chris Waller Racing pay attention to detail with all their horses and prepare them as individuals, they are benefited by Jump-outs every Tuesday morning and Barrier Trials every fortnight. 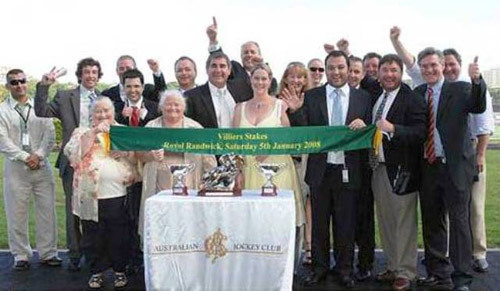 Chris Waller is now based permanently at Rosehill and has the assistance of very experienced staff who all have a common interest; winning races. 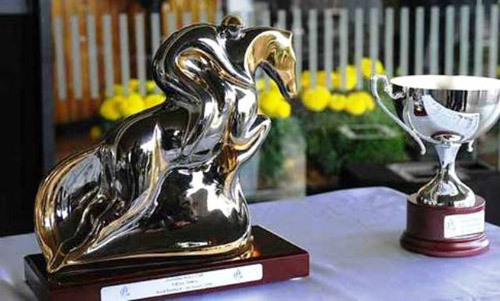 With the ever-increasing prize money generated by the now merged Australian Turf Club in Sydney, it guarantees that at Saturday meetings we are competing for $70,000. Sydney racing is almost “free racing” as most costs to start in a race are absorbed by the racing club. Not only does it cost almost nothing to race, owners also receive a starters bonus for any non prizemoney earning runs, ranging from $200 for midweek meetings and up to $1000 on Saturday meetings. So sit back and enjoy the winning way with Dynamic Syndications & Chris Waller Racing where success breeds success.